Well, here in the Valley of the Sun, it won't truly feel like fall for another few months, but the mornings are cooler, the nights are cooler, and school is in session. That's "fall" enough for me! 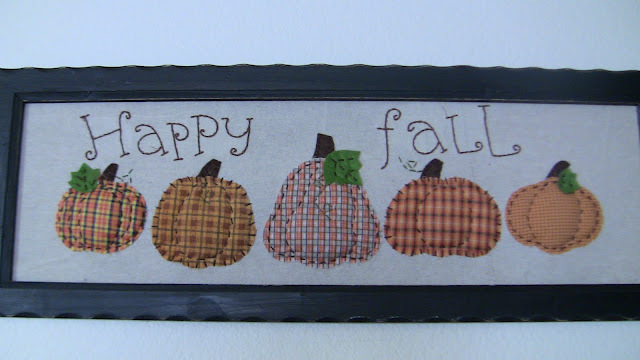 This weekend I am breaking out the fall decor! 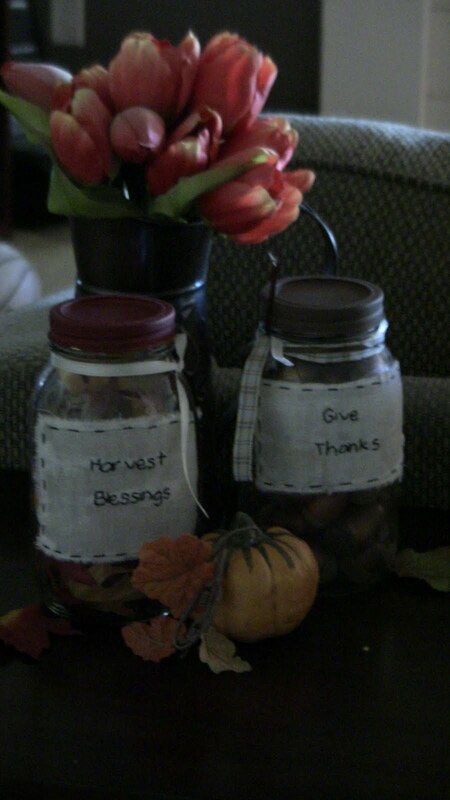 But first, another fall project had to be completed. 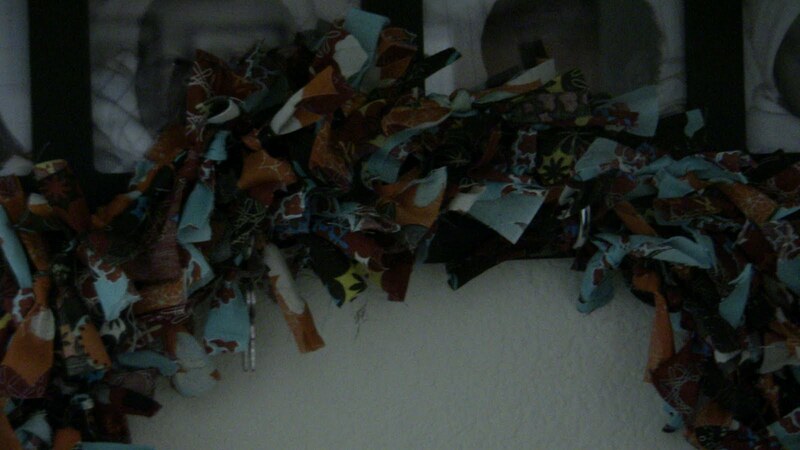 I found this tutorial for a rag wreath at Moda Bake Shop sometime last year. I bought the wreath frame and.....it sat for a year. First I couldn't find fabric I liked. Then I thought I would make a Christmas one. But then Christmas passed, and I thought, okay, maybe a spring one. You get the picture. Finally, this summer, I decided to bite the bullet and pick out some fall fabric. I found these cute rolls of fabric at Hobby Lobby for $4.99. 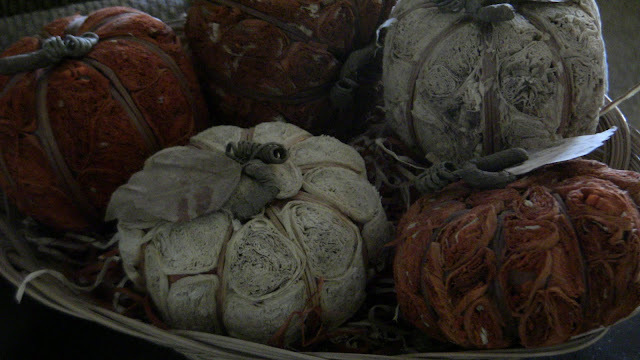 I love how they are fall colors, but not "fall fabric"- if you know what I mean. I put this monogrammed pumpkin on our sofa table. This is super easy to make. I printed out a letter in a cute font, taped it to the front of my pumpkin, then used a pushpin to make a dot outline of the letter on the pumpkin. Then I removed the letter and "connected-the-dots" with a Sharpie, then filled in the letter with the marker. You could also use a paint marker. Or even Vinyl. This was BS: Before Silhouette! I have a lot more ideas and inspiration to keep me going. I love to see everyone's fall decor, so send me a link if you have something you love! Also, if you love fall as much as I do- go to the Fall Nesting Party at The Inspired Room. I love this blog. Stopping by from Tara's weekend blog hop. I really like your blog. Enjoying all your pumpkin pics! I am your newest follower. Thanks for sharing ♥! Hi there! Such adorable stuff! I adore fall, its decor and all it brings! I am your newest follower from the blog hop! We are also having a blog hop w/ FB and Twitter if your interested! Here (late) for the Friday blog hops! Great blog! Your newest follower. Hope to see you at Dropped Stitches! Love the fall decor. 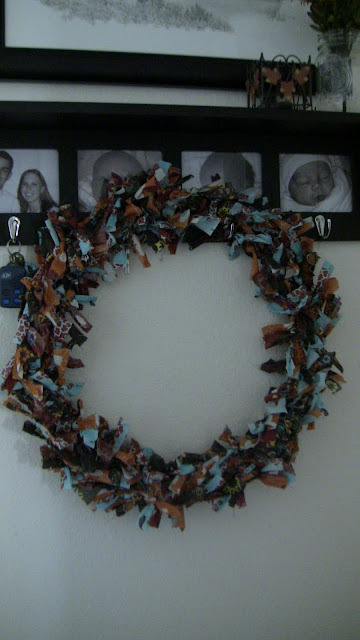 I remember making a wreath like that for my mom for mothers day back in Elementary. New follower from Moms Review for you blog hop!! Feel free to follow back!! I loved the monogrammed pumpkin...what a classy idea! I just found your blog from one of the Wednesday blog hops. Have a great night! 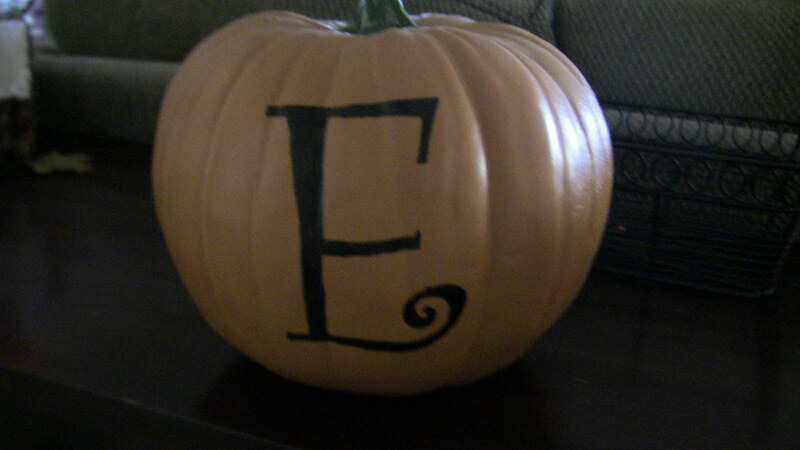 adorable idea, I am going to monogram my pumpkins now! the same here as far as the weather goes. i've pulled out everything! i love this season. everything in your home looks so festive. We have given you an award! Hope you will come see! Great Blog! Thanks so much for the follow. I am now following you as well. Have a great day!